EX.PRINCESS OF DARKNESS AT LEMIZ. 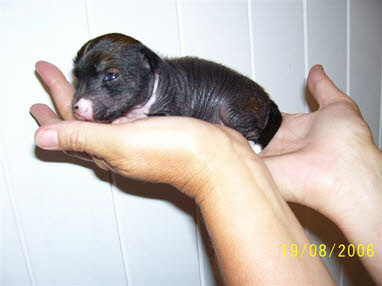 This wonderful little TRUE HAIRLESS girl was bred by the famous LEMIZ Kennels of CHRIS. and ANITA ROWNTREE. 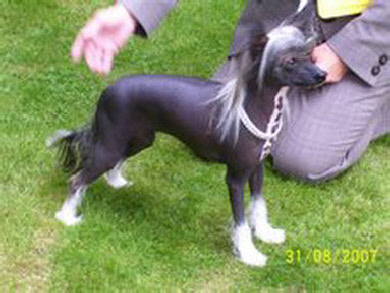 She qualified for Crufts at her second show, the Chinese Crested Club of G.B, judged by Mr. Bruce Jackson. This was followed by BEST PUPPY IN BREED, at W.E.L.K.S Ch. 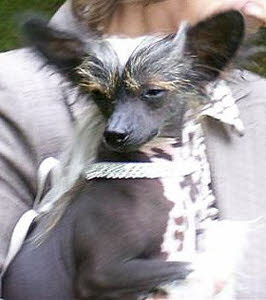 show under the eminent breed-specialist, MRS. JANET KNOWLES (JHANCHI). She placed consistently at all her shows in 2007, so now we are looking forward to showing in 2008, and 2009.